Cement Cleaning and Sealing | Magna-Dry | Carpet Cleaning Lafayette IN | Magna-Dry IN | Call now 765-449-0422! 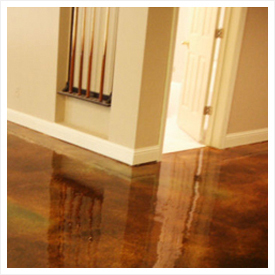 Magna-Dry can clean & help restore a garage floor or unfinished basement floor with our exclusive clean & seal service. We can also clean & buff-polish cement that has previously been sealed. Cement cleaning involves removing all surface dirt and dust with dry-broom and dust mops, then wet-mopping to ensure a debris-free surface. Magna-Dry uses the proprietary cleaning solution which acts as an emulsifier for any left over dirt and oily / greasy spots, resulting in clean cement. Magna-Dry can then recommend a sealing process based on the specific use of the area and the needs of the customer. The customer can then keep the cement looking good year after year by utilizing Magna-Dry’s buff-polish service.